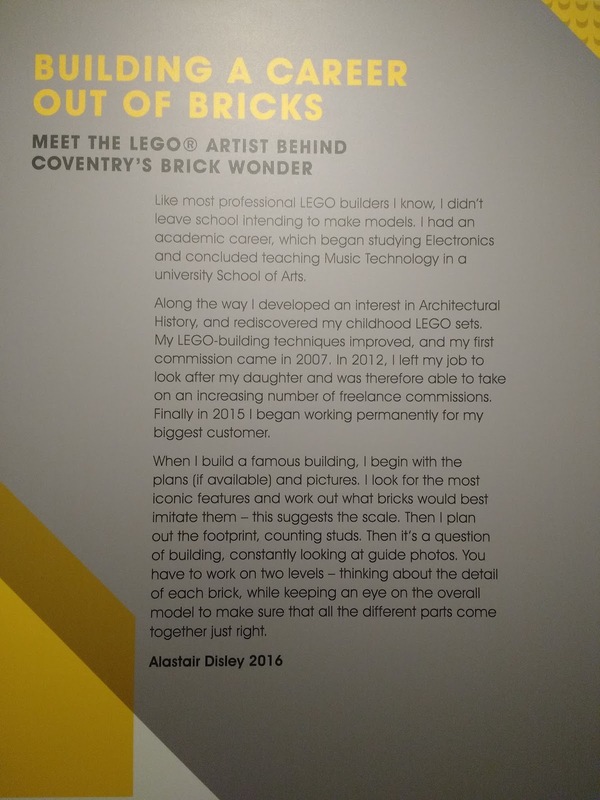 Today we went to a workshop at our local art gallery where there is an exhibition of Lego Brick Wonders. 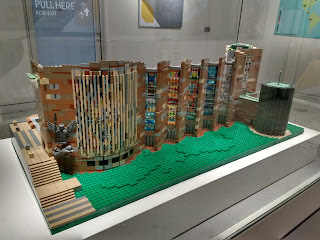 The boys and I had visited the exhibition before, but today my third son (10) was able to get involved and have a go at building a brick wonder of his own. A new model had been added to the exhibition, a Lego version of our local cathedral, which was amazingly intricate in its detailing. There was a timelapse film of the designer building the model and information about his career, which was great for my son who is a really keen Lego creator. He came home inspired to get out his Lego boxes and build something new. He is very creative with his Lego, and builds brilliant models from scratch. 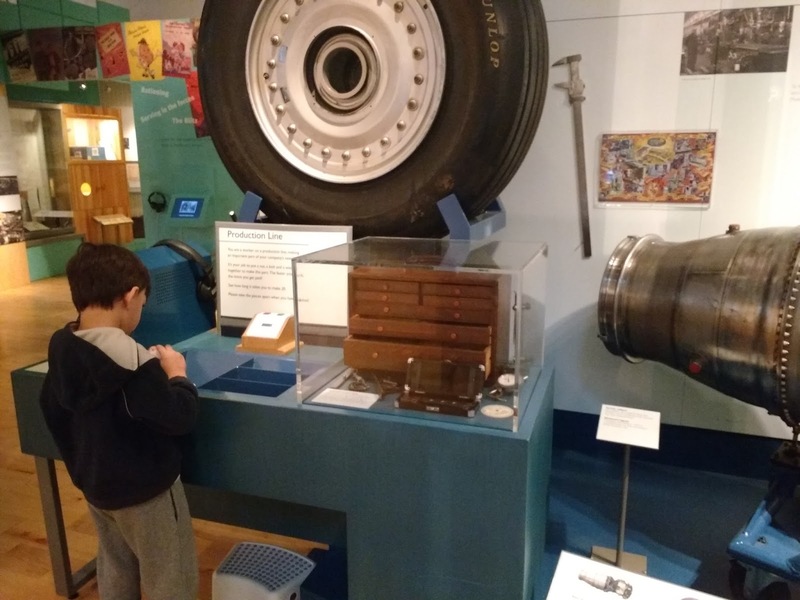 His younger brother is now also catching an enthusiasm for Lego, and enjoyed the first part of the workshop which was all about the Egyptians and the Great Pyramid of Giza. The Lego exhibition depicted the wonders of the ancient and modern worlds, as well Earth's natural wonders. 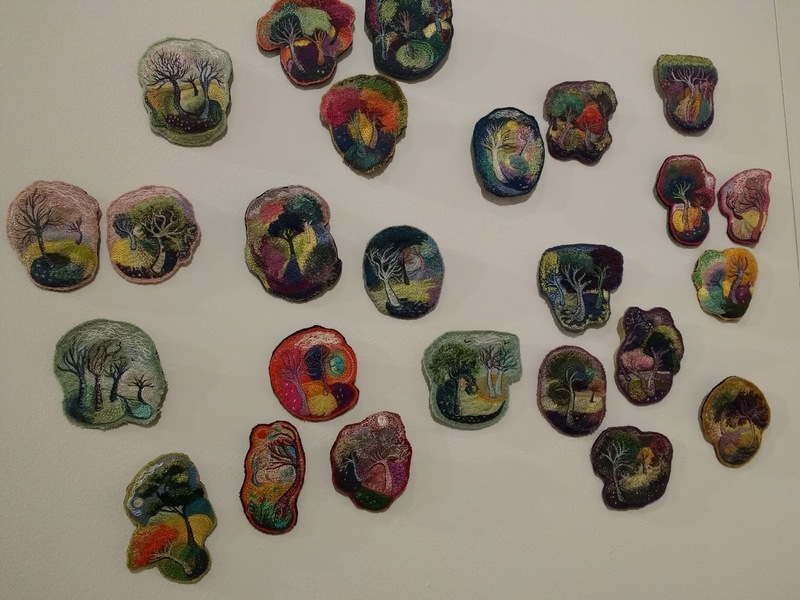 Whilst the workshop was in session, I wandered around the art gallery and museum with my other two sons. There is a lovely interactive display about our city's history, with lots of interesting items my smallest son (4) enjoyed looking at. There was an exhibition of local crafts, and my second son (13) drew my attention to one exhibit which caught his eye. 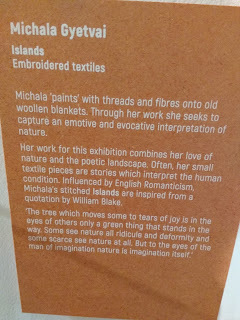 Perhaps he will be inspired to have a go at some textile work with his Grandma, who is very talented in that area. 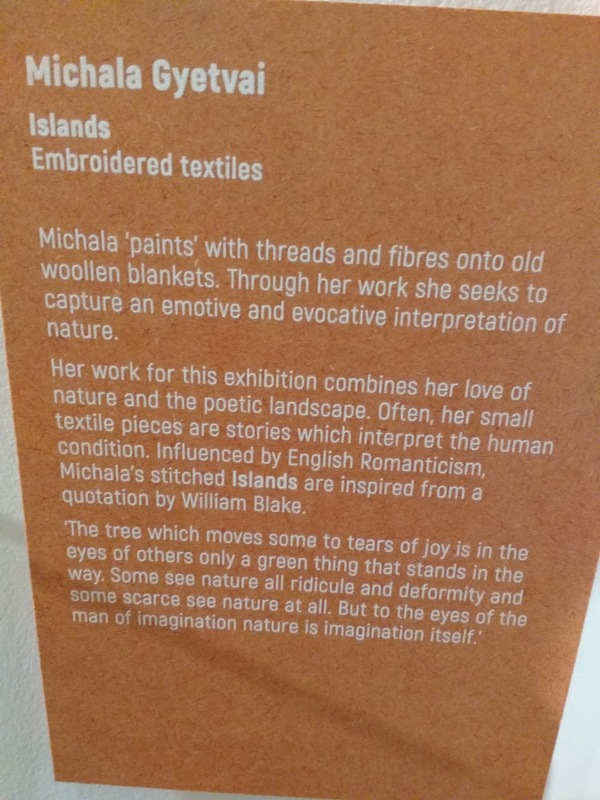 I love the quote from William Blake, and the way this shows how poetry can inspire art. 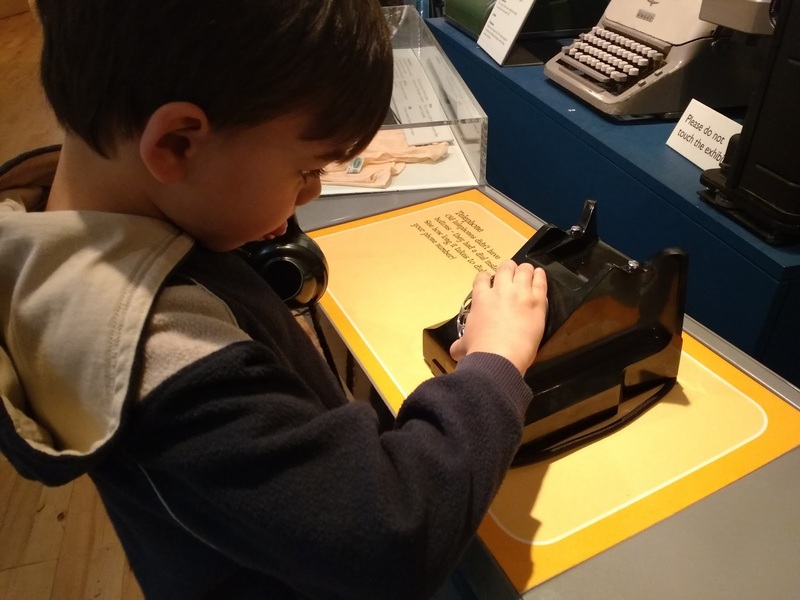 My youngest son's favourite thing in the museum is a large jacquard loom in the museum's entrance hall which was used to make ribbon. There is a video of the huge loom in action, and he never seems to tire of watching it. So on our way home, we stopped at Hobbycraft where I had heard a wooden loom was for sale on special offer. 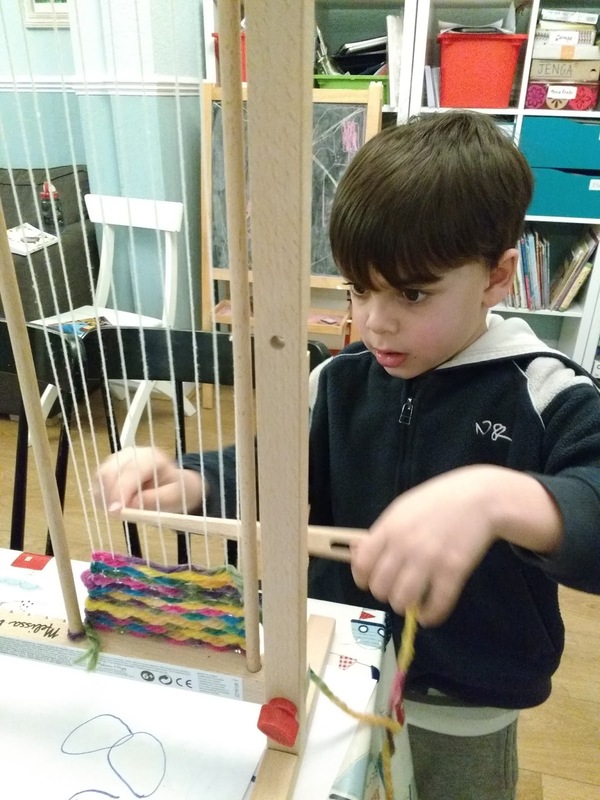 He has spent a considerable amount of time this afternoon weaving with patience and perseverance, and is now making a lovely rainbow scarf. 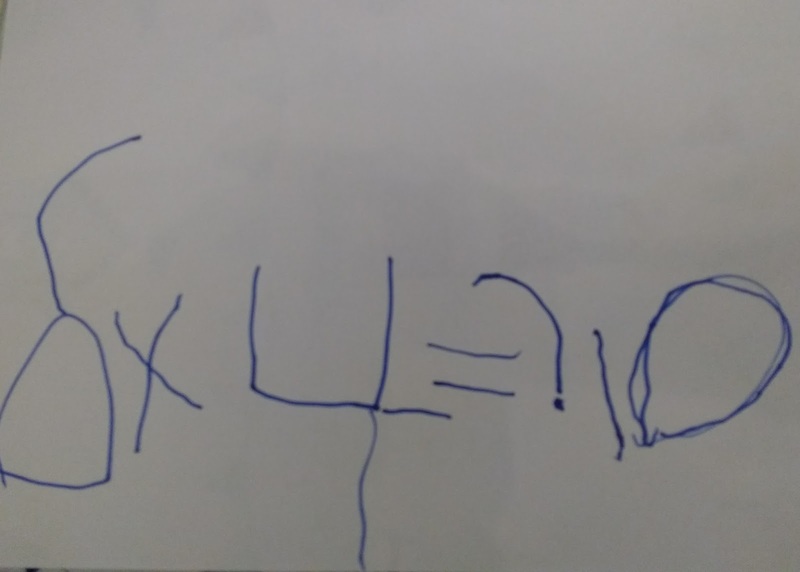 This morning, I watched him writing out maths sums. He has been working on Maths Seeds independently on a tablet, and has clearly understood his number bonds to ten. It was interesting to see the way his brain is processing what he is learning, and he managed to scribe the sums he wanted to. 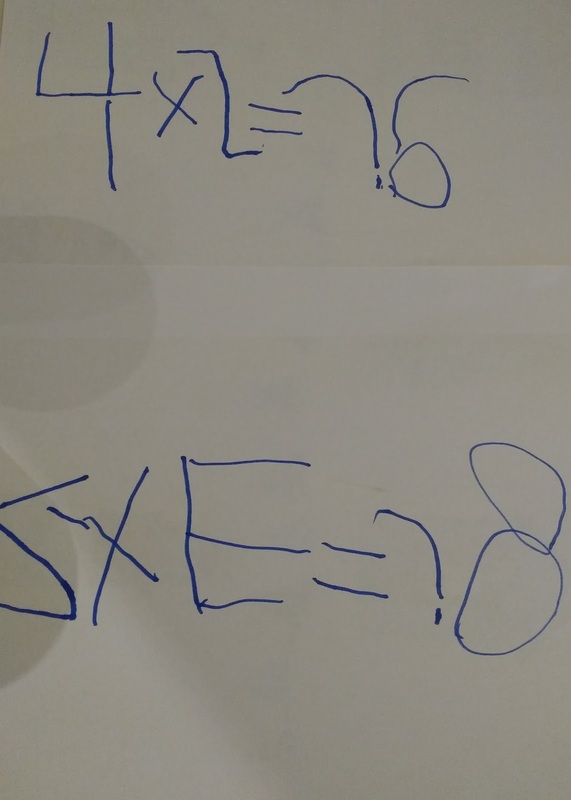 His writing is rather wobbly, and some of the numbers are backwards, but see how his skills are developing, untaught, from the emergent writing I wrote about last month? Then the marks were just zigzags and patterns. 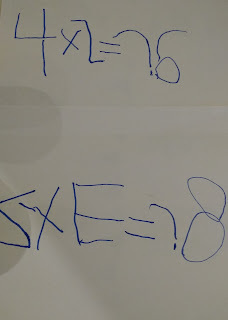 He wrote his name in full for the first time in my Mum's birthday card this week - because he wanted to. The letters were mostly capitals, large and wobbly - but forming. 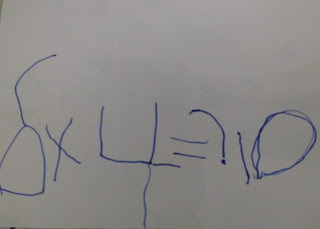 He has not been taught, but is experimenting with shaping his writing. And he is so delighted with all he achieves. In other news, my juicing continues. This is Day 5, and I have been feeling much more clear-headed and sharp, as well as continuing to have a lot more energy. All good, so I am pressing on. Some of the juices are much nicer than others. Today's were quite bitter, and meant dinner did look tempting. 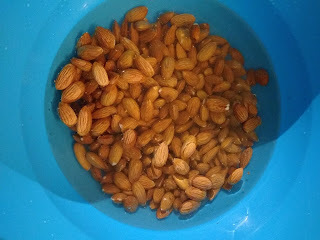 This evening I am making almond milk for the weekend, something I have never done before, so another learning experience for us all. My youngest son loves to help me juice all the fruit and vegetables. He is my official juicer! 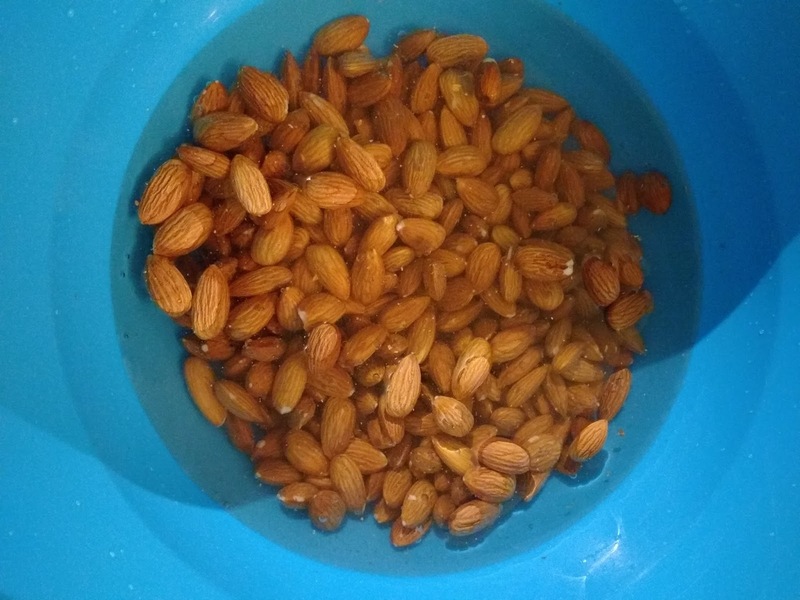 My husband couldn't stick to the plan, as he says he needs to actually eat food! Fair enough. And he is back at work, which makes it more difficult. He has been having a smoothie in the morning, and sometimes one juice in the day. Otherwise, just trying to incorporate a lot of the same vegetables I am having into the food he is preparing, so that's good all round. Yesterday he made a lovely pesto from scratch and served it with pasta and salad. All 4 boys and a visiting friend tucked in with gusto and cleared their plates, which is not at all the norm. Usually, at least one in a family of six doesn't like it! 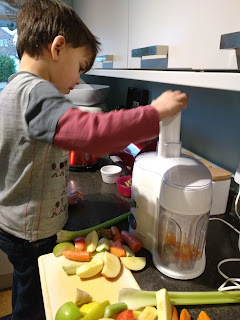 I can see our diet changing as a result of this juicing experiment; we hope to continue to eat a lot more fruit and veg, more wholegrain alternatives and less meat. Let's see ... I still have 23 days to go!